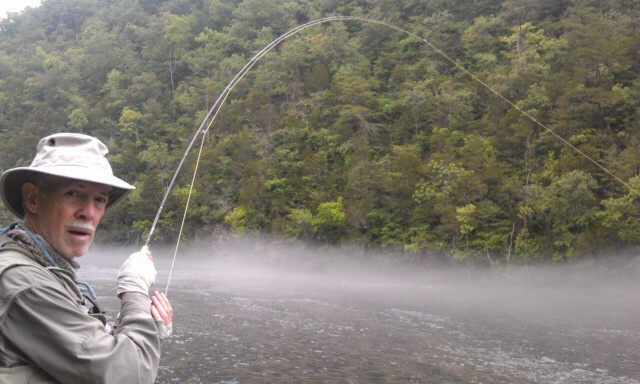 Thurs May 31, 2012……Guiding Larry Tomar and Dan Camia on the South Holston and we got into some decent dry fly action. Headed sown river for more!!! 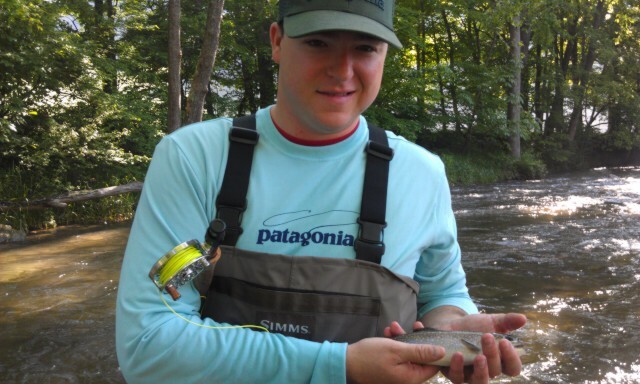 Wed. May 30, 2012….Beetles n browns and cicadas and sulphurs…all on the South Holston. Guided Mike Workman today and we caught some early nymphing and on top, both using midge patterns. We went upstream at 1030am to catch falling water and with it a sulphur hatch. 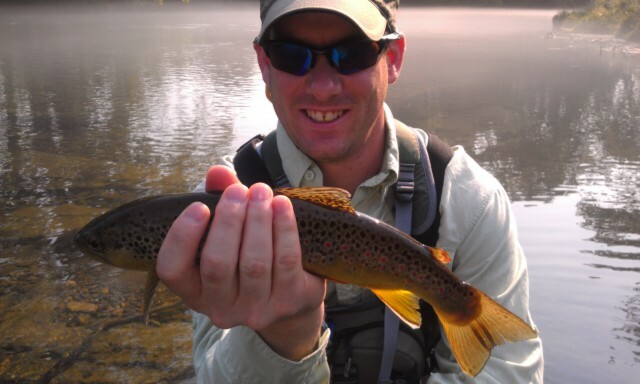 The fish were tougher than normal but we still managed some good fish, including a fish or two on beetles. I think we maybe caught 20. It was again hot but not quite as humid. Planning to head upriver …guiding Larry Tomar and Dan Camia tomorrow here also . Have a great evening! Sun. May 27, 2012….the Mayfly Madness month is almost coming to a close, today I did a make up trip and am almost through with some spring backlog. Guided Mike Riddick from Cary, NC and we had challenging fishing but did get into a sulphur hatch that was decent. Landed about 12 fish in the 2 hour flurry, including two large fish and we broke off a fish on 6.5X that would have gone 22-23". It was scorching hot and sunny and we didn’t get bugs til about 1130am. But then they came and soon fish were rising. This phase of the hatch is just beginning where we were fishing, as the fish didn’t act as though they were really totally interested in them. But we found enough cooperative fish to have some good fishing. After a quick lunch we headed downriver and hit several more spots before rising water got to us at 545pm. The TVA turned off at 7pm and I went to investigate a couple of spots to see if there were any Spinner flights occuring. I did find a good spinner fall and nailed about 20 fish in the last hour and a half before it got dark. There were a couple 18-19" fish (just under 20") that I landed and I took advantage of a rare opportunity to fish in the evening myself. 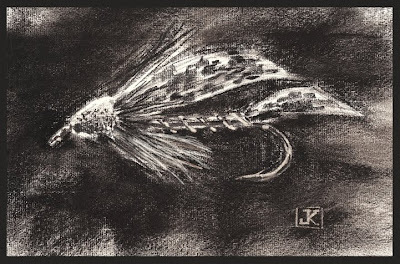 I walked out in darkness fully satisfied with the fishing I had. 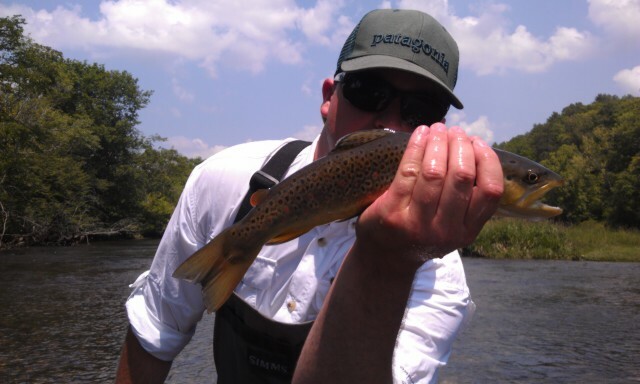 The South Holston in all her glory…and it was again incredible. Headed home early in the morning to celebrate my wife Kathy’s birthday. Then trips Tuesday through Saturday….is going to be a busy week again full of trips and some of them right here on he SoHo. Incredible Half Day So Far….. Sat. May 26, 2012….Incredible half day so far guiding Dr. Jim Kramer and his friend Dr Brett. We caught about 30 of so in the morning, some on one of my Pumpkinhead nymph and some on my midge merger dry, and some on my G dun with a tan CDC wing. We have just gotten into a hatch and rising fish and have put over 50 fish in the net. We have landed fish up to 18, the largest 18.5" caught by Dr Jim on one of my midge emergers. Headed to lunch then to more fishing down river Aw a water release from 12-5pm is headed our way. Sat. 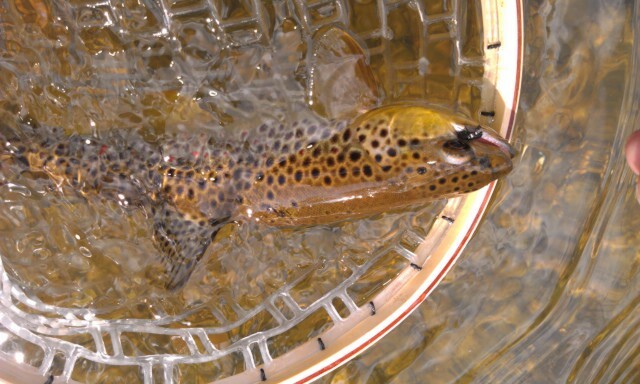 May 26, 2012….Guiding Dr Jim Kramer and his friend Dr Brett and we are doing really well netting about 20-25 fish so far including several fish on my new "G" Dun CDC fly. Caught about 20 of our fish with a #18 Pumpkinhead…its working like a charm. Headed to another spot….more to come. Warm Morning, Good Midge Fishing on SoHo.. Sat. 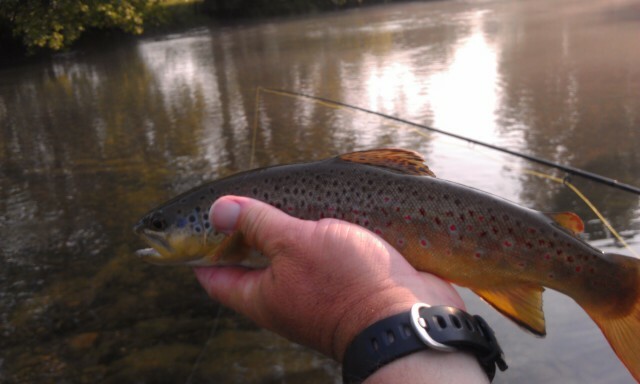 May 26, 2012…Nice morning, 10 fish in the first hour on the South Holston, first time in several days its been like that. Guiding Dr. Jim Kramer and his friend Brett. Caught some nice fish, just lost a brown of about 18" or so. Fri. May 25, 2012….Had a great morning and early afternoon of nymph fishing with two fly rigs, a dead squirrel with a Bead Head Batman nymph dropper. Guided Mike Riddick to a 25 fish day today using them. 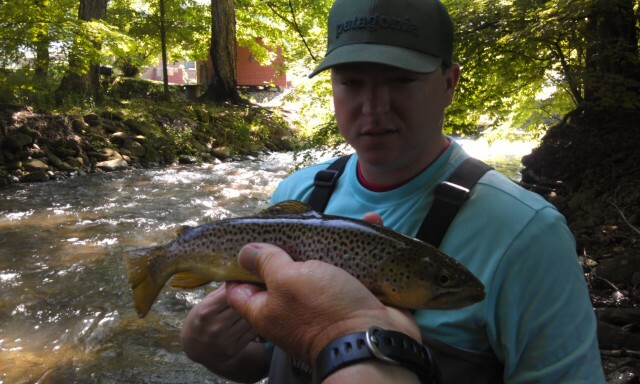 We went to fish two other Ashe County waters but they were high and dirty….like so much so it was not safe to wade. Both forks of the New are messed up and it will be a while before any fishing like smallmouth will be productive. The weather was very hot but water temps were cool, low 50s early on and high 50s to around 60F when we called it a day. Saw a few large sulphurs hatching and also some little yellow sallies. 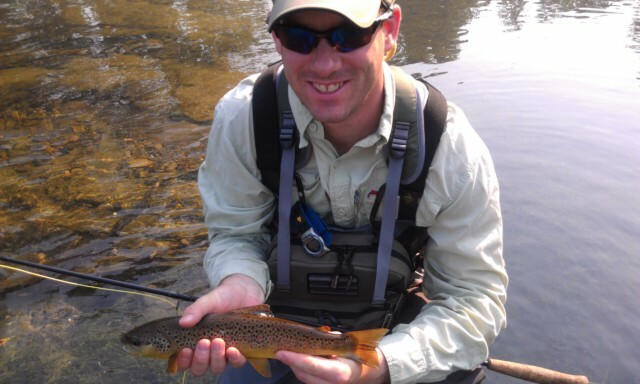 Guiding Dr Jim Kramer and his friend Brett tomorrow on the South Holston. Hoping for a great day. Have a great weekend! Good Nymph Fishing This Morning…. Fri.May 25, 2012……Guiding Mike Riddick of Cary, NC, and the nymph fishing is red hot. We are fishing in Ashe Co, water is way up and we are smokin’ em. Landed 10 fish so far and we are just getting started. Water temp is perfect at 54.5F and the fish are loving it. Fri. May 25, 2012…Off to an early start to beat the heat and other anglers. Wow, is it ever foggy. Almost zero visibility, can’t see beyond the hood of my Toyota Highlander. Guiding Mike Riddick of Cary, NC today, looking forward to a great day. Wed. May 23, 2012…..Another challenging fishing day on the SoHo. Stormy weather is right at our backdoor after a very challenging fishing day at he three spots we fished. Split my time during the day between 5 guys, Joe Craig, Ron Davis, Wendell Ott, Bill Leinster, and Locke Clifford. We caught about 30 fish in all, and on a mix of flies. Fish were tough , they would rise once then not again. 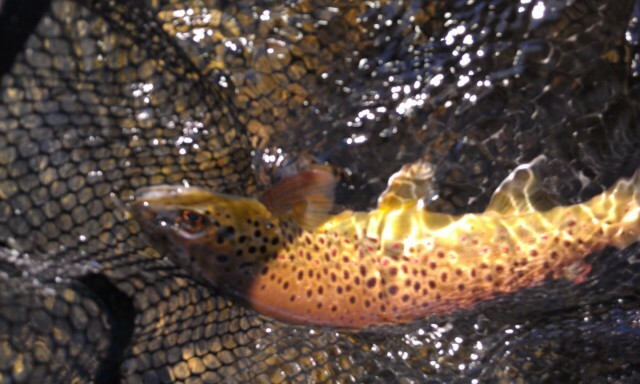 We did catch a few on dry flies, and one new fly I tied worked well but overall it was tougher than in many days. No bugs hatching to speak of. 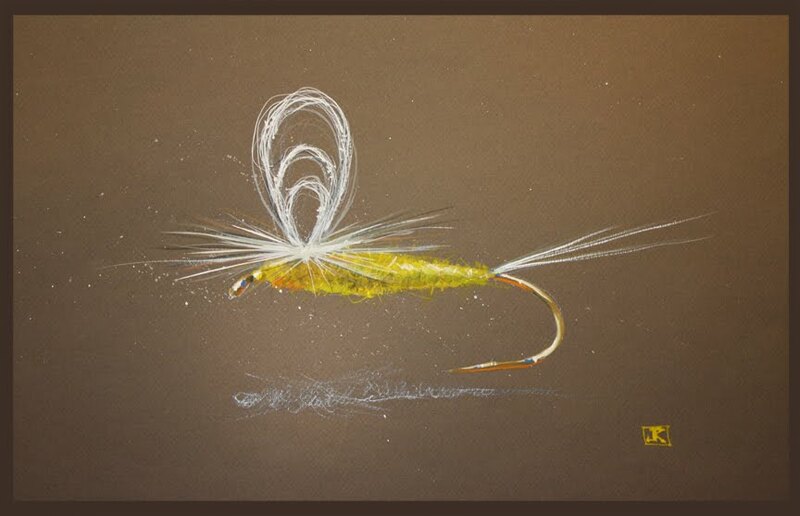 Will be having dinner then doing an evening fly tying session. Will be tying some more flies tonight in preparation for tomorrows trip.